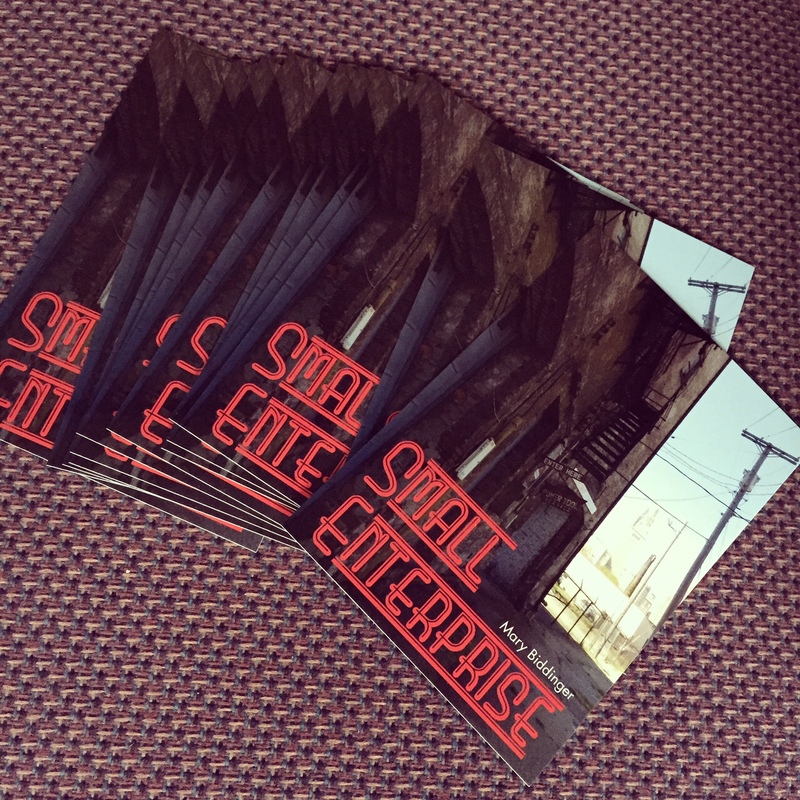 A thousand uses for SMALL ENTERPRISE post cards. Whenever I have box of new book post cards I want to throw them EVERYWHERE. I want to fill a bucket or a tub with the post cards. I want to make a sandwich and fill it with post cards. I want to stuff post cards into bottles and send them out to sea (but that’s probably ecologically inappropriate). I want to stitch fifty or so post cards together into a quilt, and then shiver beneath it. I want to ride a giant post card down a snowy hill. Instead, however, I’ll just put stamps on these and send them into the world. 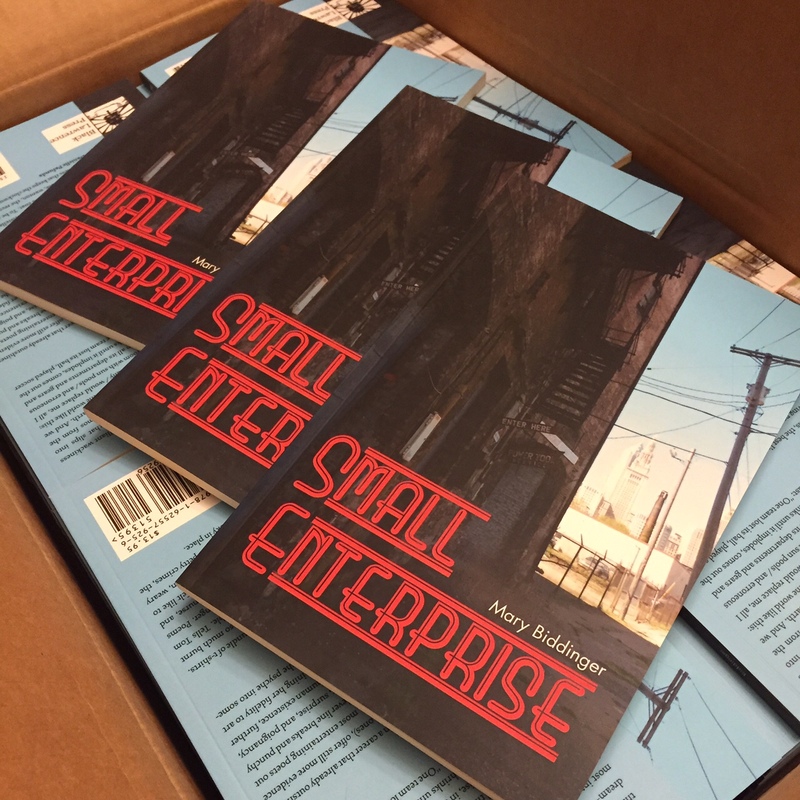 To celebrate the release of Small Enterprise, I’m giving away four signed copies over at Goodreads. Click here to check it out. She’s also officially in stock at SPD. Exciting times! Happy shelf. Black Lawrence Press represent. 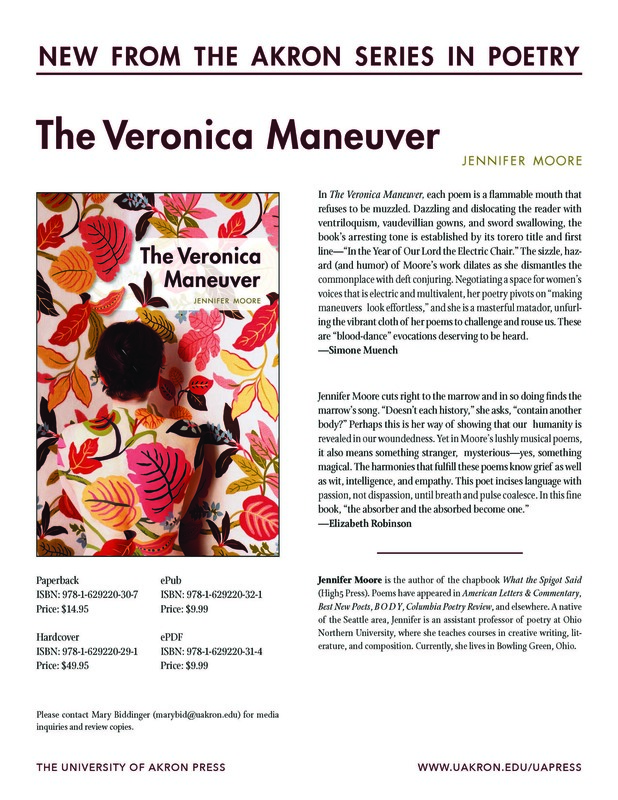 The University of Akron Press seems to have a new poetry & poetics publicist these days, and she’s super excited to get the word out about The Veronica Maneuver, debut poetry collection by Jennifer Moore. Ordering and review copy info above. After a long day of teaching, I didn’t expect this box on my doorstep, and for a moment I thought I should wait until morning to unbox Small Enterprise, but then realized I’d be up all night wondering what she looked like. 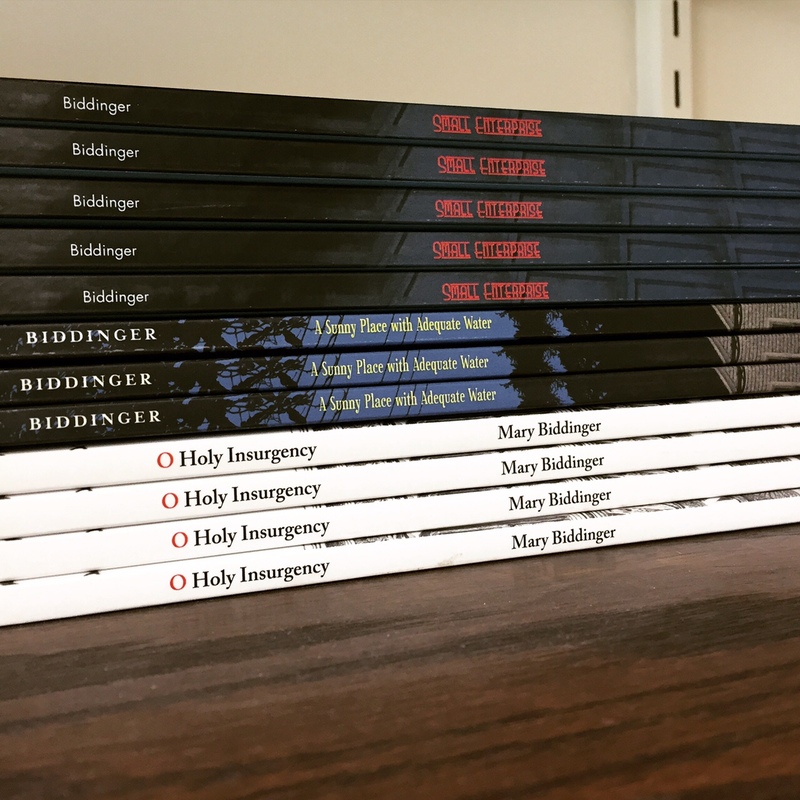 I have so much gratitude to Black Lawrence Press, photographer Heidi Thoenen, and many more folks. But for this morning, I just want to share two photos welcoming my 4th book to the world. My well-loved copy of Wuthering Heights. 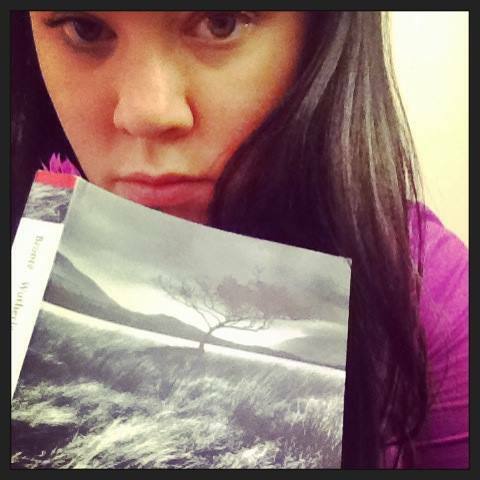 One of the many works of literature that we riffed on in THE CZAR is Wuthering Heights. I’ve never been one for heavy allusions, but THE CZAR takes tonal cues from a variety of works, as well as making playful attempts at doubling some storylines. That said, the whole writing of THE CZAR was organic, so our allusions were intrinsic to the poems, just like the pop culture intrusions or snippets of technology that made their way into the book. Here’s a poem from the collection, which is forthcoming from Black Lawrence Press in August 2016.
is a little worried about how much he loves the novel Wuthering Heights. In private, he whispers, “I am ___________” then sends himself to un-heaven. Who is the naughtier child, Catherine or Heathcliff? And why doesn’t the weather in Czarland Heights vacillate like a northern place with moors and hillocks? He can’t say that heaven wouldn’t want him, as he invented the concept. Why did it have to involve heaps of coconut? Why was his movie in black and white, and replete with ringlets, the dogs dead for decades? In a less probable world, the Czar would have also been a Czar. Yes. In a less probable world, though, Edgar wouldn’t have died. And the peasants would have feasted nightly on more than limburger cheese and half-stale crackers. Before the Brontë sisters, he considered books an accelerant. Like his mistress’s faux bridal lace teddy. Or the Lady Czar’s culinary renderings of aimless heft. At night he stares out the castle windows. A low, accusatory moon in the Czar-like sky. Stray cats in an alley and a pail of warm milk. Low water level in the moat. He sips Glenfiddich by the gallon, tells his mistress he will stay up all night until he finds the right word. But he never does.